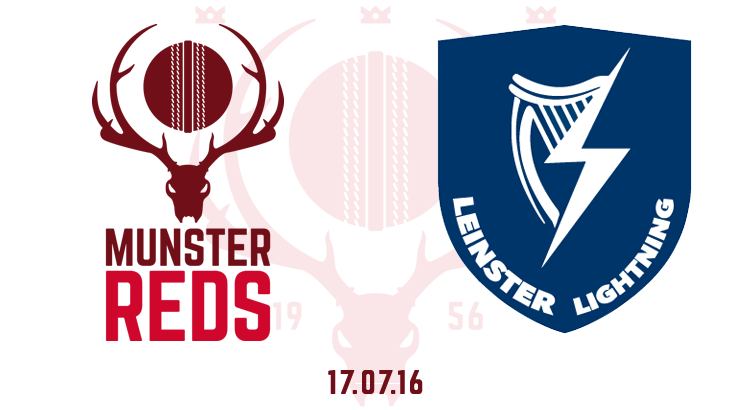 Munster Cricket regret to announce that the T20 challenge matches between the Munster Reds and the Leinster Lightning planned for the Mardyke next Sunday, 17th July, has been postponed. The postponement has been caused by the unavailability of a significant number of the Leinster Lightning squad arising from other fixture commitments resulting from Ireland’s series with Afghanistan and the refixture of Irish Senior Cup and other rain affected matches for next Sunday. Every effort will be made to reschedule these fixtures for later this season and further information on a new date will be made available as soon as possible.